This pop-up post office, with its dispatch service and postcard creator point, is unlike any other. It’s a work of art. Get ready for a surprise! If you visit the Palais de Tokyo art museum in Paris before 9 September 2018, you won’t believe your eyes. You wouldn't expect to see a post office on entering a museum. And yet there it is, right in front of you. You recognise it as a post office because of the La Poste logo, but in all other respects, it’s a long way from what you would normally expect. This pop-up post office, with its dispatch service and postcard creator point, is unlike any other. It’s a work of art. The public is unlikely to immediately see how it connects with the childlike promise of the exhibition, whose title “Encore un jour banane pour le poisson-rêve” (Another banana day for the dream-fish) brings to mind a dreamlike, magical, exotic world... 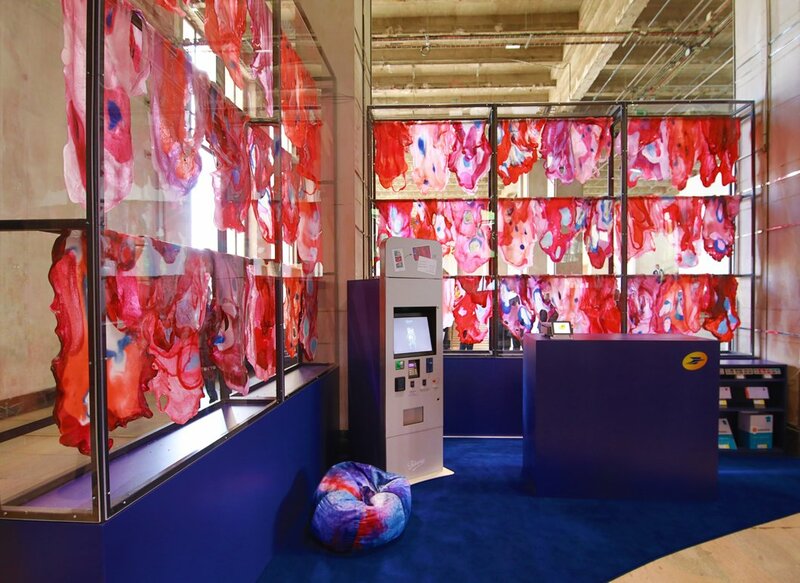 However, the conventional, the expected and the déjà-vu have no place at the Palais de Tokyo. The creation of Sabrina Vitali does not betray this approach. Made entirely of sugar, her installation brings to mind a collection of skins at first glance, before we see a burst of stellar explosions, taking us from the organic to the cosmic, from the individual to the universe, and from the very near to the very far. The artist talks about her vision and creation techniques in the video below.